Here you will find information regarding routines, timetables, letters etc. If you have any questions, do not hesitate to pop in at the end of the day, where we will happily answer any queries. May I take this opportunity to remind parents that all homework is to be completed at your discretion. Homework is sent home on a Friday and returned on the following days. Spellings: Books returned on a Friday for weekly spelling tests. Learning log homework is integrated into our class planning opportunities, with presentations and evaluations taking place the week of the date provided. If for any reason there is a delay in completing homework, children may return it throughout the week. The aim is to ensure children are fully prepared to undertake these tests, whilst also maintaining high standards of teaching and learning across the curriculum. In preparation, you may notice slight changes to our homework routines, with additional reading, numeracy- procedural and numeracy- reasoning homework being sent home when deemed appropriate. Further information regarding the tests can be found on the school website- Home and via the Learning Wales information for parents guide. Children are asked to bring their reading book and record book into school on a Monday and Thursday to participate in discussion groups and/ or additional reading opportunities. Your child will be given a Guided Reading Discussion Group Day, for which they will also need to bring their book into school. Every child will be heard reading on the following days and should ensure they have had opportunity to both read and discuss their book at home, prior to these sessions. We appreciate how busy routines can be after school, and understand if it is only a page or two. Please continue to record the pages read and your own comments in the reading record book provided, thank you. Additional reading opportunities take place throughout the week through a range of class activities. Each child is also allocated a Group Guided Reading session, whereby group reading takes place once a week, with follow up activities completed the next school day. Every Friday your child will bring home their spelling book with new words to learn, in line with our Jolly Phonics spelling scheme. There may also be additional spellings: High Frequency Words that children need to practise, or spelling patterns related to the Jolly Phonics Grammar and Spelling followed in class or High Frequency Word Spellings. We will also be introducing topic spellings and Welsh vocabulary where appropriate. Spellings will be tested 1 week after being issued. New spellings will be issued once the test has been completed. Children are asked to return their spelling book to school ready every Friday please. We will be working really hard in Year 2 to continue to develop accurate letter formation and to produce joined handwriting. Children will be busy applying their use of joined handwriting across their classwork, whilst refining technique in specific handwriting sessions. A 'helpful hint' sheet will be issued for your information. A copy of which can be seen below. 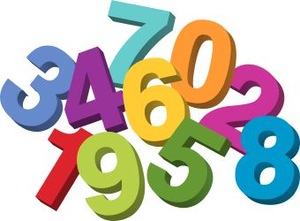 See our maths page for all maths news! Learning logs provide opportunity for your child to apply the skills learned in class at home. These activities are creative, informal, fun activities for your child to celebrate their talents and apply the skills developed in class. Opportunity to develop literacy and numeracy skills are included in learning log activities for children to apply these skills to everyday scenarios; to meaningful, purposeful and realistic experiences. Whilst learning log activities provide great opportunities for creativity and use of ICT, it is fully appreciated, not every skill will be evident in each piece of work. Evaluation sessions take place following each learning log presentation and these provide great opportunities to develop oracy skills and confidence speaking in front of others. However, these homework tasks are voluntary and to be completed at your discretion. Any questions, do not hesitate to get in touch. Children are asked to bring in their PE kit on a Monday and Thursday for PE. Please remember to bring in a water bottle, especially on PE days. Children may leave their PE kit in school Monday- Friday. PE Kit includes a plain white T-Shirt and Black shorts, leggings or jogging/ tracksuit trousers. Songs in order of sounds learned. The tool we use to 'upscale' our writing. Links to great literacy games. Useful video links for parents. 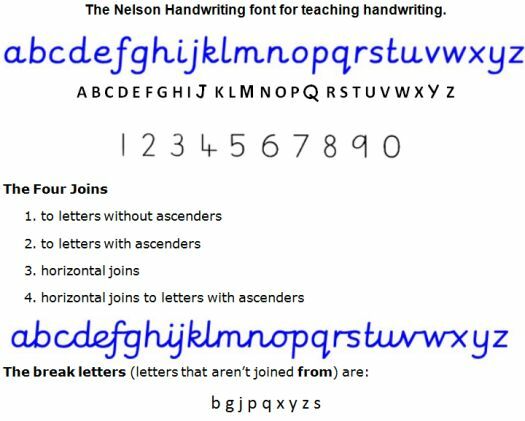 Nelson cursive tutorials for parents. Children use an animated interactive tool in class!